Khushboo Gupta – Planning, Governance, and Globalization. Raj Kumar G.C. – Planning, Governance, and Globalization. Received the Outstanding Dissertation in Social Sciences, Business, Education and Humanities award at Virginia Tech. In 2017, Marc was selected as a Eno Transportation Policy Fellow and subsequently received the Charles Koch award for the student from the Eno award cohort whose work highlighted leadership in the area of transportation operations planning and policy. Received the ACSP 2017 Marsha Ritzdorf Award for a journal article he based on his research. Nneoma Nwankwo – 2014 Austin Michelle Cloyd Scholar, Undergraduate, VT Honors and the 2016 Undergraduate Student of the Year. Subha Subha Banerjee (Urban and Regional Planning). Recipient of the Richard E. Zody Award for Outstanding Dissertation in Planning, Governance & Globalization. Received an “Honorable Mention” in the category of Outstanding Dissertation in Social Sciences, Business, Education and Humanities at Virginia Tech. 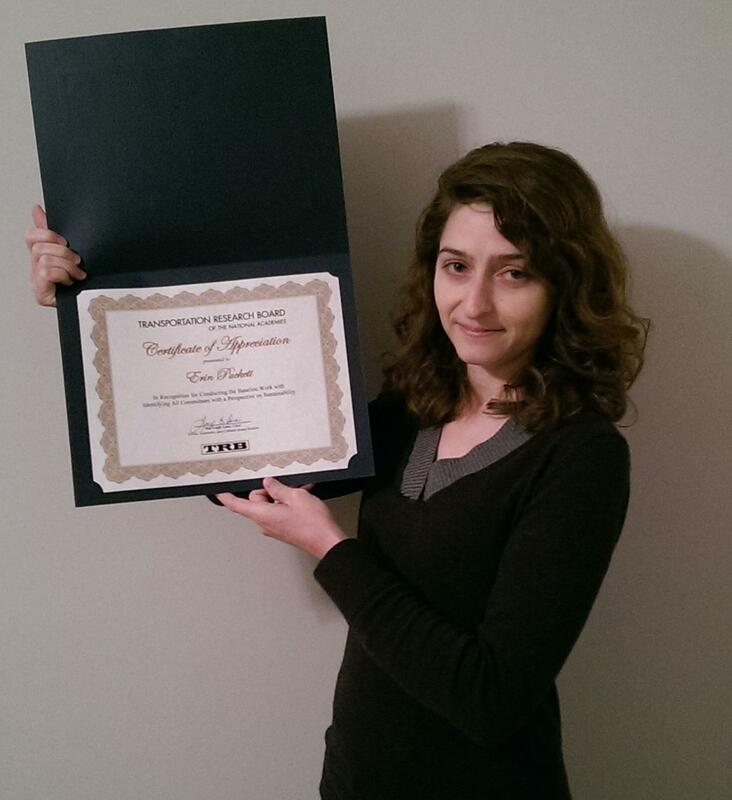 Received a 2015 TRB Certificate of Appreciation for her work supporting an analysis of the RNS database for sustainability research.